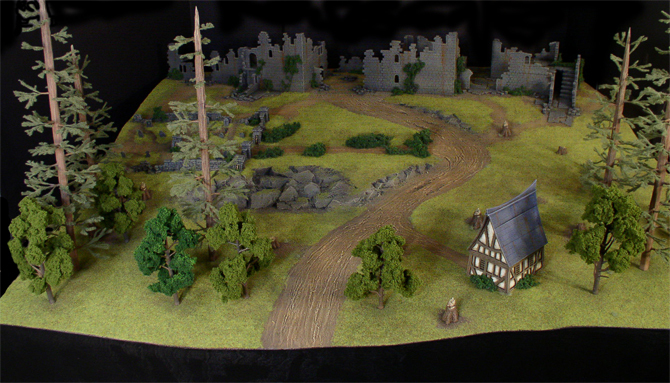 Battle of Ravenwood – The table for CMON Expo! 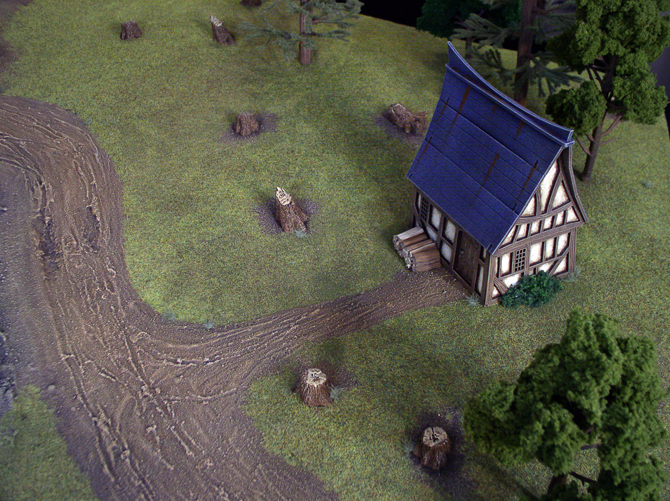 With CMON Expo just a month away, we wanted to show you something that those attending will get to play on if they choose to join in the Battle of Ravenwood feature game. 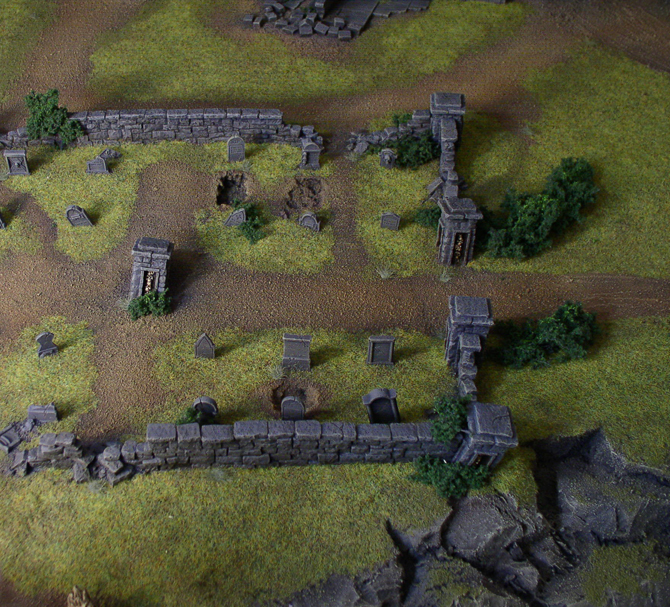 We first tested this special scenario (designed by Bobby Limoyggio) out at AdeptiCon on a mat with various terrain features like buildings and woods, but at CMON expo, you’ll get to play on the awesome table designed by Rob Hawkins (check out his wonderful blog HERE). 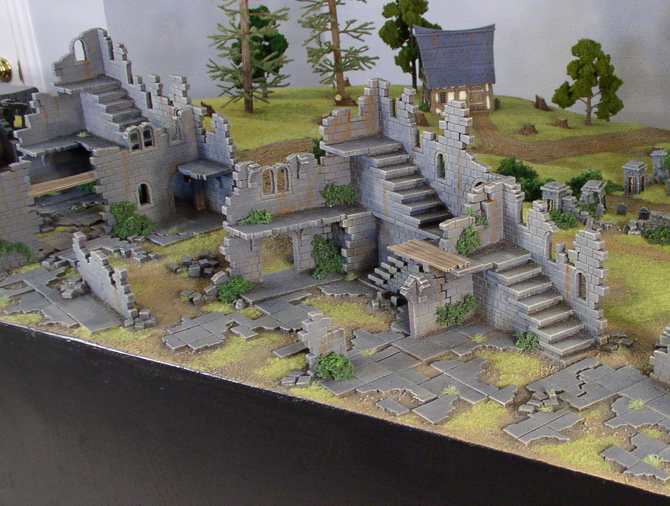 Rob used a variety of pieces to accomplish this build, including some of the Ruins of Daldorr castle sections from our friends at 4Ground, and gravestones from Rob’s own range of gothic terrain pieces. The table represents a slice of Telloria, home of House Goritsi. 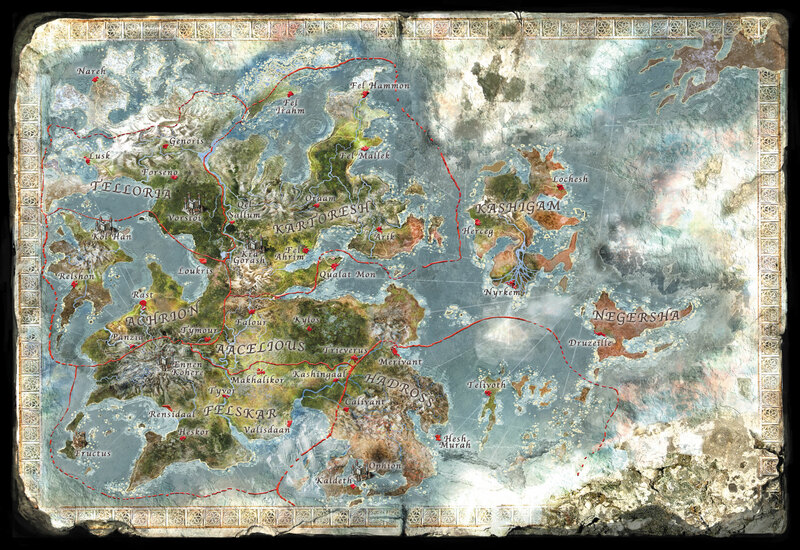 The forces of House Nasier have landed on the north coast of Telloria and are pushing inland. 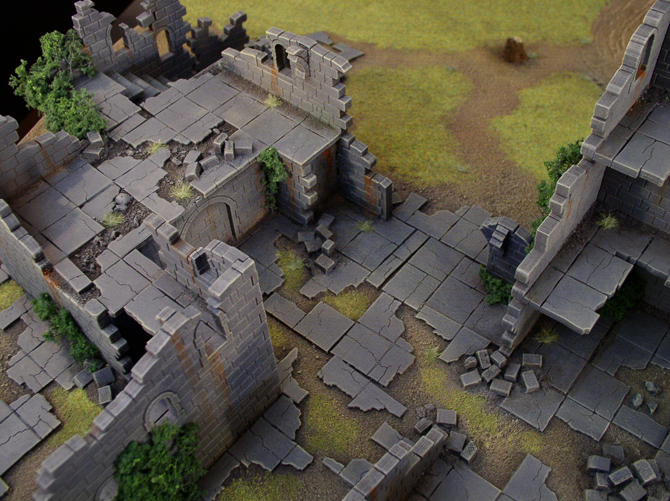 They are stopped outside a ruined castle by a combined force of werewolves, vampires, and hired swords. We are very excited to see how the game plays out on this brand new surface! Additionally, Dave Taylor has been rounding out some of the Goritsi forces for the battle, including adding Duke Anton here. 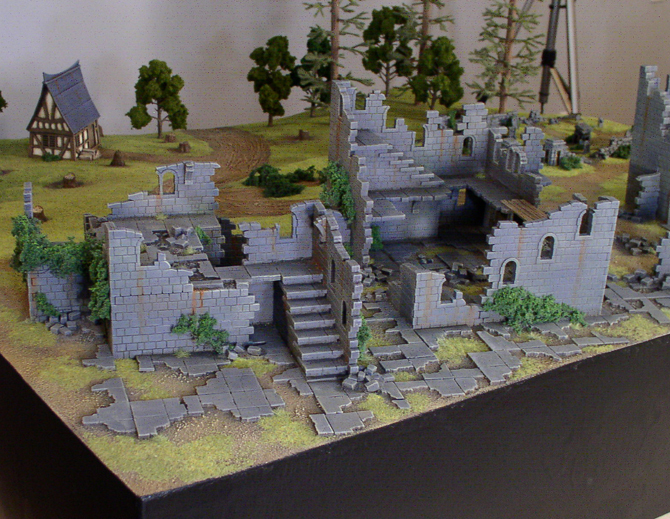 « ADEPTICON – What a blur!